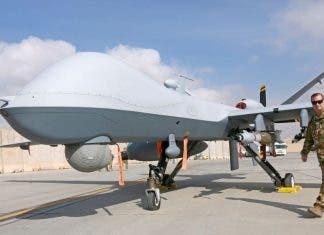 MOGADISHU (Caasimada Online)–US military says drone strike targeting Al Qaeda linked Al Shabaab, has killed a militant in southwest of Somali capital Mogadishu. 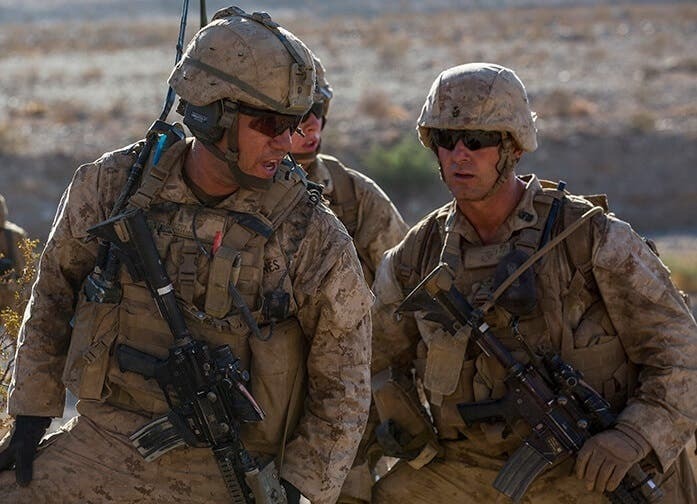 The strike was carried out on Oct. 6 in support of the government of Somalia in Kunyo Barrow area, some 65km west of Mogadishu, according to US African Command. 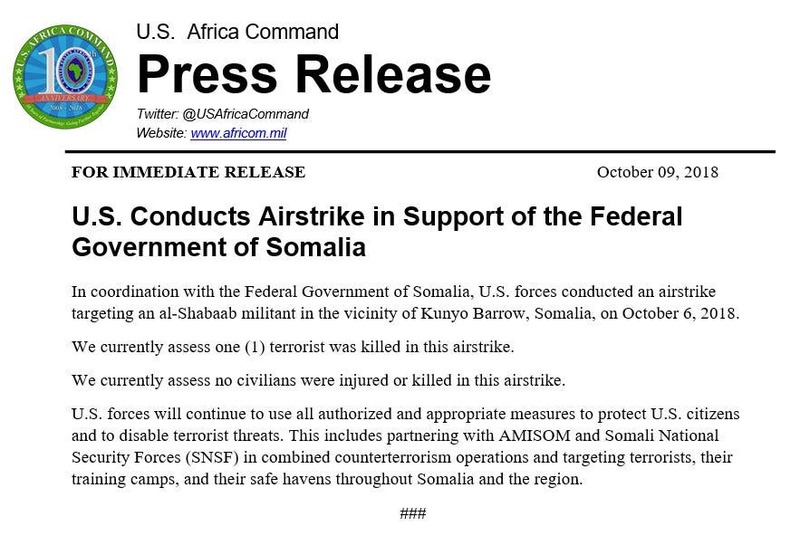 “We currently assess one (1) terrorist was killed in this airstrike,” said in a memo by US African Command. No civilians were killed or injured in the latest airstrike in Somalia, the Command said. Kunyo Barrow in Lower Shabelle region is an stronghold of Al-Shabaab. There was no immediate comment from Al-Shabaab over the claims. The U.S. has conducted more than 20 such airstrikes in Somalia this year.